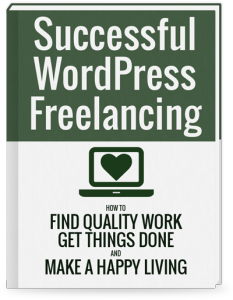 Carrie Dils does a very laid back, fun interview podcast every week, with guests from the WordPress world. If you haven’t heard of it before, Office Hours is worth a subscribe. I was the guest on April 23rd, and I had a blast. We talked freelancing, WordPress business, and performance. I’m a terrible interviewer (see if you can catch my “mental freeze” moments), but I think the show turned out pretty good – most of the credit going to Carrie & the audience for asking great questions. Thank you to Curtis McHale for introducing me to Carrie, and for everyone who listened. I hope it’s not the last time! She’s doing another episode today. You should tune in! Join my newsletter and I'll send you some emails about the business of freelancing and software, for free. Thanks for signing up! You'll hear from me soon. Just saw your spot on Office Hours FM and thoroughly enjoyed it. While you’re much further along than I am as a developer, we seem to be in similar spots as business owners. I’ll be keeping up with your blog for sure. It’s encouraging. I help tech companies with WordPress. Learn more. Copyright 2019 Andy Adams, all rights reserved.